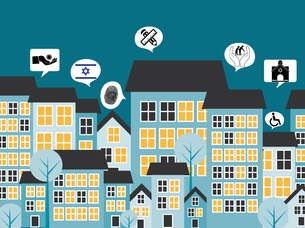 JPR’s work is driven by a central principle: everything we do should support Jewish community planning and development. We cannot promise that the data, analysis and ideas we generate will provide simple answers to complex questions, but they will provide an important empirical basis for policy debate, and a vital component in any discussion about the future of Jewish life in the UK, Europe, and across the Jewish world. If you would like to talk to us about how our work could help you or your organisation, please email us at jpr@jpr.org.uk. The 2011 UK Census included a question on religion, which allowed respondents to self-identify as Jews. JPR’s research team analyses the responses of Jews to all of the census questions in order to paint a highly detailed portrait of the demographic, social and economic characteristics of the UK Jewish population. By comparing the 2011 data with the data from the last census in 2001, we can also see how those characteristics have changed, and how the population is likely to change in the future. 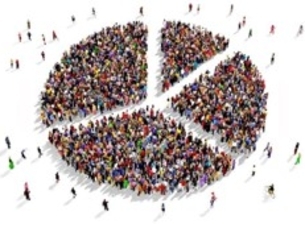 The Census dataset is extraordinary, and is continually being used to inform Jewish community planning at all levels – from the largest charities to the smallest local organisations. JPR’s recent National Jewish Community Survey examines a wide range of issues within the British Jewish community, including patterns of Jewish identity and affiliation, attitudes towards and consumption of Jewish education, social care and welfare needs, and trends in charitable giving and volunteerism. The data are designed to help all Jewish community charities to better understand the current state of Jewish life in the UK, and how it is changing over time. JPR uses this and other datasets to produce bespoke reports for individual organisations, or consortia of organisations, in order to help them plan for the future. JPR was recently commissioned by the European Union to conduct a major study of Jewish perceptions and experiences of antisemitism in Europe. 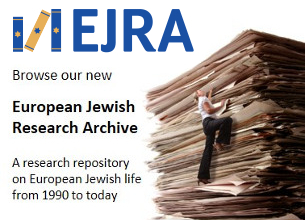 The project generated one of the largest datasets ever collected on European Jews. The JPR research team and Associate Fellows of the Institute are now working with this and other datasets to produce a series of reports examining antisemitism in several particular countries, as well as some of the wider issues that cut across national borders. 1.4 million Jews live in Europe, 1.1 million of whom are based in the twenty-seven countries of the European Union. Building a robust understanding of the demographic characteristics of these populations and the internal dynamics of community life is essential to the future of Jewish life on the continent. JPR monitors demographic developments, and conducts its own research on particular communities. Our current research programme covers a range of European Jewish populations, including Belgium, France, Germany, Hungary, Italy, Latvia, Poland, Romania, Sweden, Ukraine and the United Kingdom. JPR is regularly commissioned to conduct research for charities, foundations and governmental institutions in the UK and across Europe. Members of JPR are prioritised and receive discounted rates. Recent commissions have included projects examining aspects of contemporary Jewish identity, charitable giving, Jewish education, social care and welfare, media consumption, synagogue membership and Jewish school development. Reports produced for commissioned studies are often for the internal use only of commissioning bodies, so tend not to appear on the JPR website.